The 2017 Mazda CX-3 performance is bound to wow any driver, thanks to an impressive set of specs. 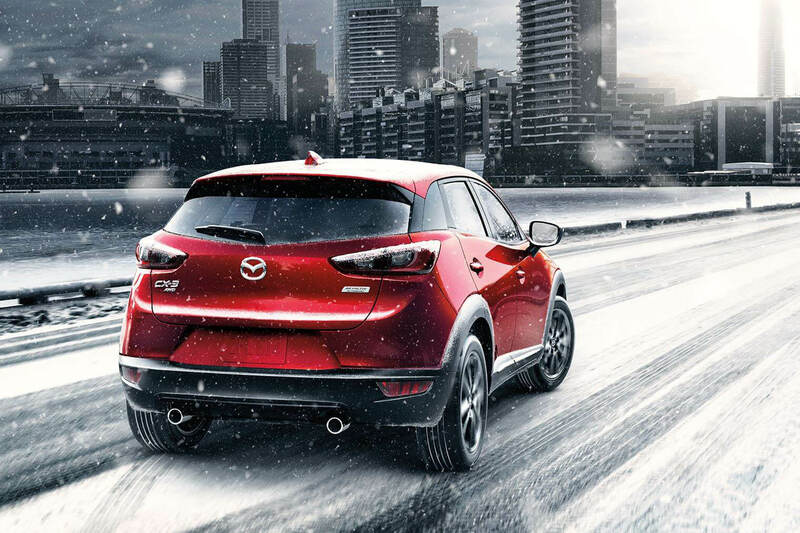 The Mazda CX-3 delivers power, technology, and hearty fuel economy numbers in one terrific package. The Mazda CX-3 is known as a modern CUV that drives like a dream with precise handling. 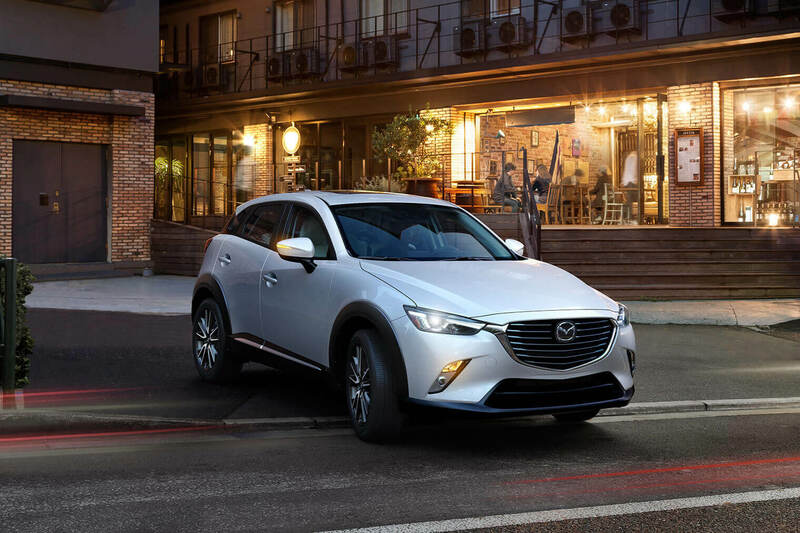 Upgrade your ordinary drive to the extraordinary Mazda CX-3. Come in to Biggers Mazda today to take a test drive in one of the Mazda CX-3 models. Let’s jump into the power specs of the Mazda CX-3. It has a 2.0L engine that produces 146 hp and 146 lb-ft of torque. This engine is featured across all trims, but drivers can select a model with either front-wheel drive or i-ACTIV AWD®. Thanks to the SKYACTIV®-Drive 6-speed automatic transmission with manual shift and Sport mode, you can truly feel the power of a Mazda CX-3. Mazda engineers crafted a lightweight model that has a curb weight of 2,809 pounds in front-wheel drive and 2,952 pounds in all-wheel drive. Additionally, these models have high compression ratios to give you the most from each tank. These factors helped contribute to the great fuel economy in the Mazda CX-3. When configured with front-wheel drive, this CUV shows an EPA-estimated 29 mpg in the city and 35 mpg on the highway. In all-wheel drive, the model shows an EPA-estimated 27 mpg in the city and 32 mpg on the highway. Are you ready for a ride with a host of amenities to enjoy? 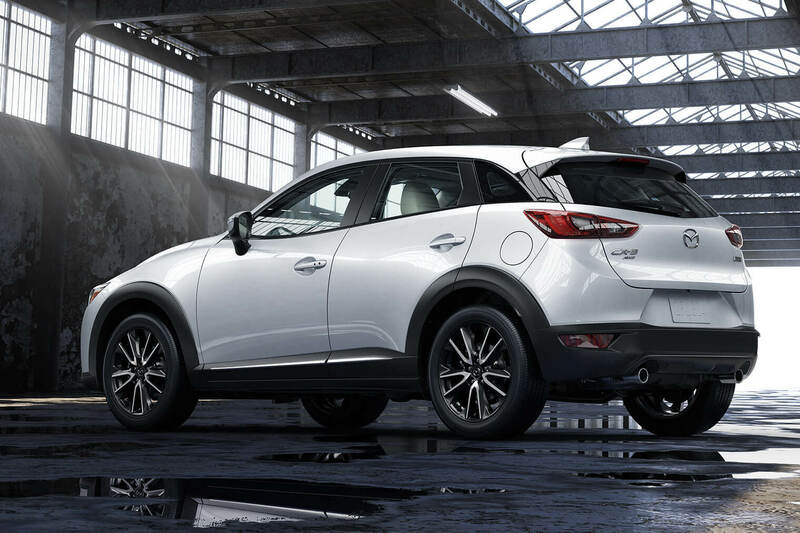 There are plenty of features you can add to the Mazda CX-3. An optional Distance Recognition Support System uses radar technology to tell you if you are at a safe distance from the car ahead of you. You must be travelling at speeds near 19 mph for the system to activate. If you are too close, then a light will shine to warn you. The optional Smart City Brake Support System can help daily commuters enjoy a safer trip. It will work from speeds around 2 mph to 18 mph to detect motion surrounding the vehicle and apply the brakes if needed. Available Blind Spot Monitoring tells you when there is something in your blind spot, and it will warn you if you attempt to merge at the wrong time. The available Lane Departure Warning scans the ground to read markings, and it can detect if you are drifting. You will receive an alert to get back into the lane. Optional High Beam Control applies bright lighting when it is needed most, and it will adjust the lights when there is oncoming traffic detected. Join us at Biggers Mazda today to try the 2017 Mazda CX-3 performance in all of its high-tech glory. Contact us online to make your appointment for a visit.